Lice Clinics of America (LCA) has long been viewed by the media as an authority in the battle to eradicate head lice from the world. When there is a story on head lice, journalists often call us first. Here are some of the many media stories that have featured LCA. Local Lice Clinic Offers Solution to Super Lice. New Clinic Opens to Tackle "Super Lice"
Click here for a research paper on Super Lice. Click here for “What Parents Need to Know About Head Lice” article. Click here for an article on Super Lice. Click here for “An itch no one wants to scratch” article. Click here for “Debunking Super Lice and Other Myths” article. Click here for “Super lice strikes in 25 states” article. 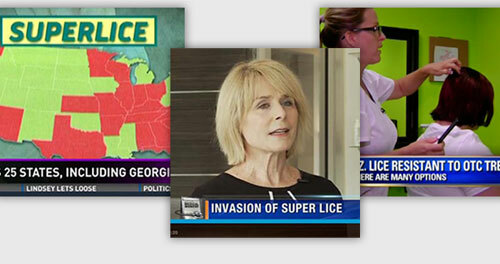 Click here for “Super lice spreads across half the country” article. Click here for “There’s a new weapon to take out super lice” article.